In the Information Age, we don’t have time to read all the links we see on Facebook or that we bookmark with our favorite browser extension, much less to keep up with the magazines to which we subscribe or the shows and movies all our friends are watching. We still read books, but that doesn’t mean we reach for anything bearing the label of “classic” when there are so many other books that look, frankly, more entertaining or even more “relevant” (the NEA found that fewer than half of Americans read “literature” at all). What, then, could be the case for why time-crunched, nonfiction-oriented, entertainment-soaked, 21st century evangelicals should read a 14th century Catholic poem about a journey through a medieval cosmos? At the risk of pandering to our web culture of simplified and enumerated content, I’d like to offer five good reasons readers of Sapientia should consider making time to read this classic Christian love-epic. We can look up historical facts, but googling and the Internet actually create an ahistorical media space, a perpetual present. In rituals, liturgies, and festivals we can experience history not as facts but as an air we breathe. Dante Alighieri was born in Florence, Italy, sometime in May, 1265. That makes this year his 750th anniversary. In addition, the 700th anniversary of his death will be in 2021, so by reading the Comedy now you will at least be better prepared for marking that occasion than you were for this year’s. Dante himself was very much a man of his time. He became involved in local Florentine politics, siding with the papal allies, the Guelphs, against the more secular-state Ghibellines to the point of joining in a couple of the surprisingly common armed conflicts. He also shared poetry and critical advice with contemporary poets, sometimes engaging in literary one-upmanship. Politics at the time were perhaps more fickle than in ours, so that, ironically, it was the new pope who enabled conspirators to exile Dante while he was away from Florence on a diplomatic mission. In a further irony, Dante may not have written the Comedy were it not for his exile. In a feudal society, your city is your identity. Without that external source of self, Dante discovered what it meant to rely upon community (his friends in other cities) and finally upon God. Among other things, the Comedy is primarily a journey of spiritual cleansing of worldly things so the soul can find and truly love God. But if you’re among our evangelical audience, Jennifer Holberg of Calvin College asks how you could not want to read Dante. Dante journeys through a catalog not only of sins but of virtues and ends with an ascent to a vision of God Himself. You have to want to read a book like that at least once in your life. As you may know, Sapientia is a publication of the Carl F. H. Henry Center for Theological Understanding. This year, the Henry Center’s theme is The Sting of Death, and we have been exploring that primarily through our various lecture and chapel series. While our speakers inspire, enlighten, and instruct us, we also know that there are other forms of knowing that even our own Scriptures offer us. The power of literature lies in its appeal to our lived experience via our imaginations. The power of literature lies in its appeal to our lived experience via our imaginations. Literature can embody truths that other forms of knowledge express more or less directly because literature is pre-eminently metaphorical. 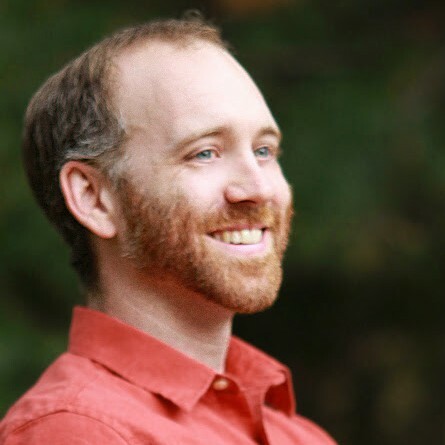 Brett Foster, who has taught Dante to students at Wheaton for ten years, believes it is precisely the allegorical mode of the Comedy that enables even evangelical Protestants to continue to glean spiritual lessons from it. Working through the Comedy alongside attending or watching the Henry Center lecture series this academic year will enrich your engagement with the subject of death, how we imagine it, and how we prepare for it in this life and in the light of Christ’s work on the cross. 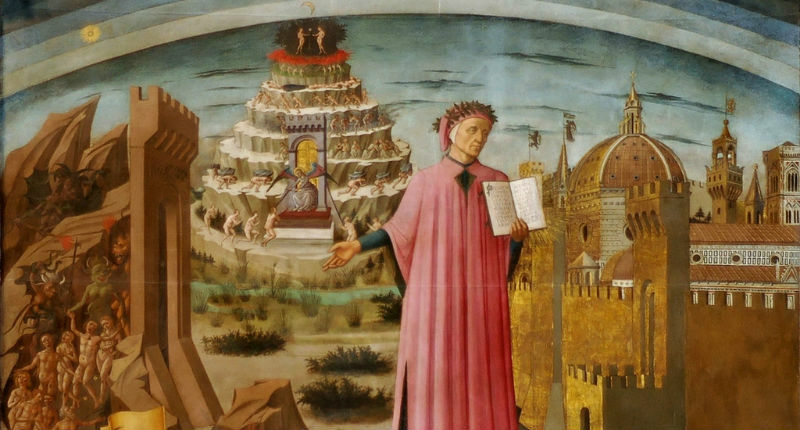 Dante’s poem casts human history onto a providential canvas so that behaviors and motivations both public and private come to have eternal significance that can be hard to see when we are caught up in the moment. Similarly, Giuseppe Mazzotta calls it “an encyclopedia,” that is, a circle of knowledge taking the reader along a journey through all that needs to be known and depositing you back where you started a wiser, enriched person. T.S. Eliot called Dante “the most universal of all poets,” meaning in particular European poets but referring to the fact that he wrote verse more closely related to the world around him than any of his peers. Besides the numerous people who will be diving into Dante for their own reasons, you can follow along with my own reading of the Comedy right here at Sapientia. I’ll be posting short reflections on select passages a couple times a week until I make it through the whole work. My approach will be more as a serious reader than as a scholar, but I do have a PhD in English, so I’ll bring some of that training to bear. My hope is that you’ll see how you can engage with Dante first from a literary and personal point of view which all the many other books you could read will enrich rather than replace. I invite you to respond to me and offer your own insights or reactions as well.